Deadline for submitting your projects is Wednesday, March 11, 2015 Date at 11:59 PM US Central time. This is Lynda hosting this week's Inspirational! Our theme this week is all about the boys! I would like you to use your stamps to create a masculine/male themed project. Be sure you use stamping on your project and indicate in your description what your stamping is so we know. For my first card I printed out this wonderful sentiment onto my card base. 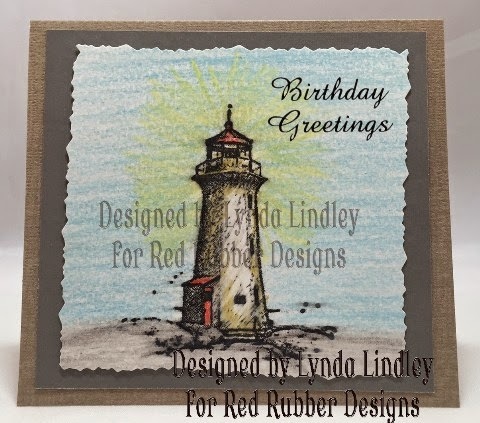 I then stamped the lighthouse image from the Lighthouse and Birds set onto my cardstock. I then colored the image using my Spectrum Noir colored pencils. The image was then cut out using deckle scissors and then backed with grey cardstock and then mounted onto my card base. 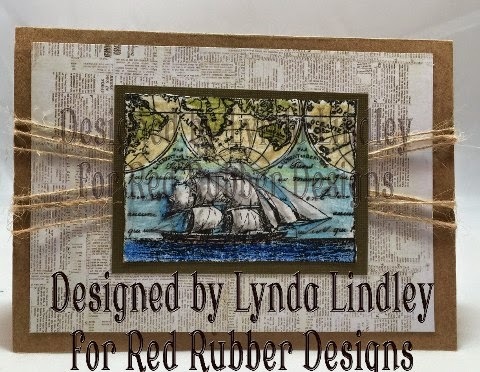 For my second card I stamped the image titled Ship Collage onto my cardstock and colored it with my Spectrum Noir colored pencils. 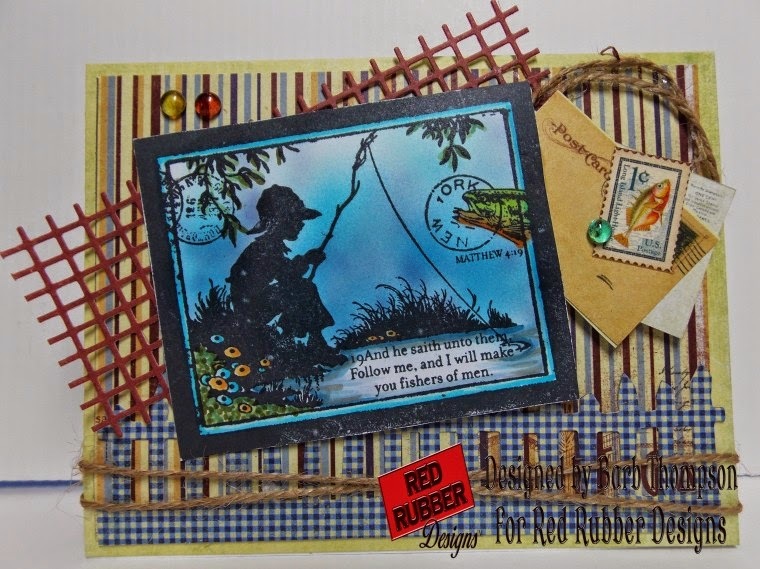 I then backed the image with dark green cardstock and mounted it onto my card base that I had covered with a piece of book text paper and strung some jute across.